One of the neat features of the beer app Untappd is a year-end summary of your beer activity. Each January, users are given a review of their top beers, style, venues, and more from the previous 12 months. It's a simple, fun way to relive the past year. In my case, the summary provided me with a few surprises. If you had asked me, before looking at the Untappd summary, which beer I drank the most in 2018, I might have said O.H.S.O. 's "Boom Dynamite" or maybe Sam Adams' "New England IPA." 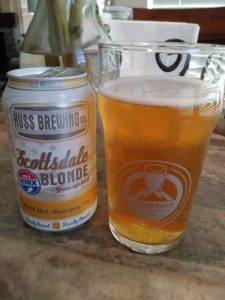 To my utter amazement, my #1 beer of the year was...Huss Brewing's Scottsdale Blonde. "Scottsdale Blonde" is a light, golden Kolsch, mildly sweet and extremely crushable. 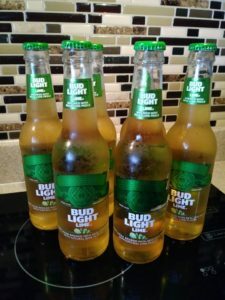 In 2018, it won a silver medal at the US Beer Open Championship (I guess that's a thing!). Without even realizing it, I checked into "Scottsdale Blonde" nine times last year. My second-most checked-into beer also demonstrates the slight distortion of Untappd's methodology. 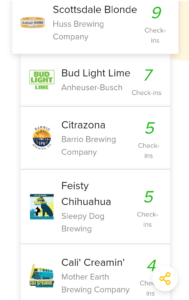 My second-most checked into beer was Bud Light Lime, with seven check-ins. It should be no surprise that since my top beer was from Huss Brewing Company, that my top brewery of the year on Untappd was Huss, leading the way with 15 check-ins. 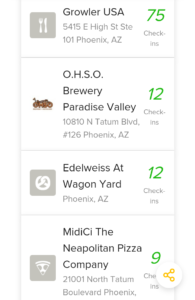 Huss also brews Papago's "Orange Blossom" which, along with my check-ins for "Scottsdale Blonde," put Huss in the lead. 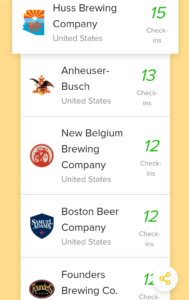 A total shocker, and one I'm fairly ashamed of, is that "big beer" Anheuser-Busch placed second with 13 check-ins. I always figured I was a champion of the little guy, the local brewery. How did that happen? Looking more closely at the numbers, I felt better. My top venue for 2018 was actually no surprise, as Growler USA was my go-to study hall for the year. Their incredible number of rotating taps made it an ideal place to study new styles and generally keep up with what's happening in the craft beer industry. A mild surprise was the appearance of Edelweiss Biergarten, with 12 check-ins (a tie with O.H.S.O.). They only opened in October (or should I say 'Oktober'). I guess I really love German beer. Here's to a great 2019 in beer!